This pretty probiotic soda is a hit not just with the kids but with adults too. Go grab that sad bottle of grape juice and turn it into something fantastic today! 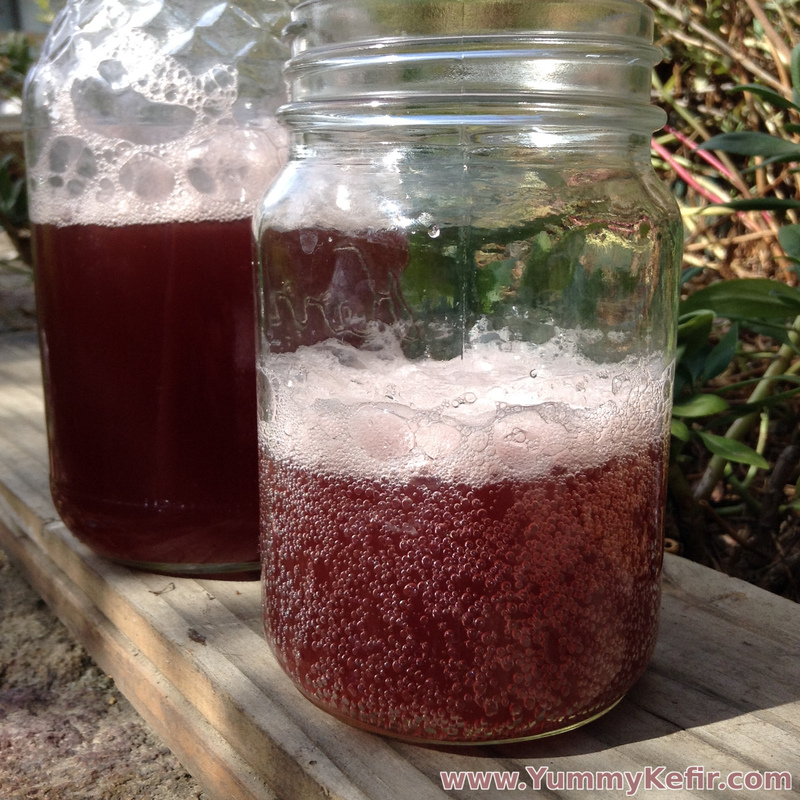 Mix together the water kefir and grape juice. Place the mixture into a tight sealing bottle and leave at room temperature 1-2 days to carbonate. After it is carbonated, refrigerate and serve chilled. It sounds like it may have fermented too long and was not in an air tight container. The fizz will dissipate if the container is not sealed. If left too long to ferment, it will turn alcoholic, and after that you will get vinegar. One other possibility is that your grains are not up to speed and doing their job, you can tell if they are working by doing a taste test of the sugar water before and after fermentation. There should be a noticeable drop in the taste of the sugar in the water if they are working. Best of luck and happy fermenting!